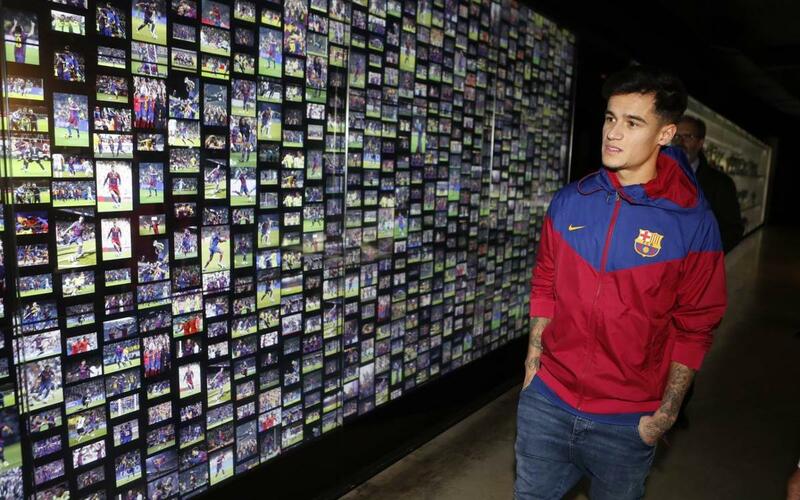 Watch the video of the Brazilian's first day in Barcelona in which he had a photo gallery in the Auditorium 1899 and a visit to the FC Barcelona Museum Buy tickets for to see Coutinho in action for Barça! Philippe Coutinho has enjoyed his first day in Barcelona as an FC Barcelona player. The Brazilian had a photo shoot in the Auditorium 1899 with the assembled media outlets and a visit to the blaugrana Museum, where he saw the trophies the Club has won over the years. Titles, shirts, boots, videos…a first taste of his new club FC Barcelona’s history. In the following video, you can see how Coutinho enjoyed his first day in the city. Don’t miss it!